Stan Nicolls, Advisor, Jessica Rammel, Tanner Tipsword, Josh Coudret, Quentin McGuire, Josh Davidson, Amber Jerke, Ross Walker, and Evert Summers. Members not pictured are Ginger Sager, Mathew Hickman, Kyle Nicolls, Chase Metzler, Colton Orchard, Tyler Christopherson, Mason Rose and Dakota Hielbert. Patricia Pulliam and Andy Espinosa advisors are not pictured. The SkillsUSA club members at Eastern Wyoming College donated and collected money to purchase gifts to give to the children at Torrington Learning Center. The students raised and purchased over $420 of toys and presented them to Tonya Nepper at the center on the EWC campus. Members of the SkillsUSA club are Jessica Rammel, Tanner Tipsword, Josh Coudret, Quentin McGuire, Josh Davidson Amber Jerke, Ross Walker, Evert Summers, Ginger Sager, Mathew Hickman, Kyle Nicolls, Chase Metzler, Colton Orchard, Tyler Christopherson, Mason Rose and Dakota Hielbert. Advisors for the club are Stan Nicolls, Welding Instructor, Patricia Pulliam, Business Technology Instructor, and Andy Espinoza, Computer Applications Instructor. 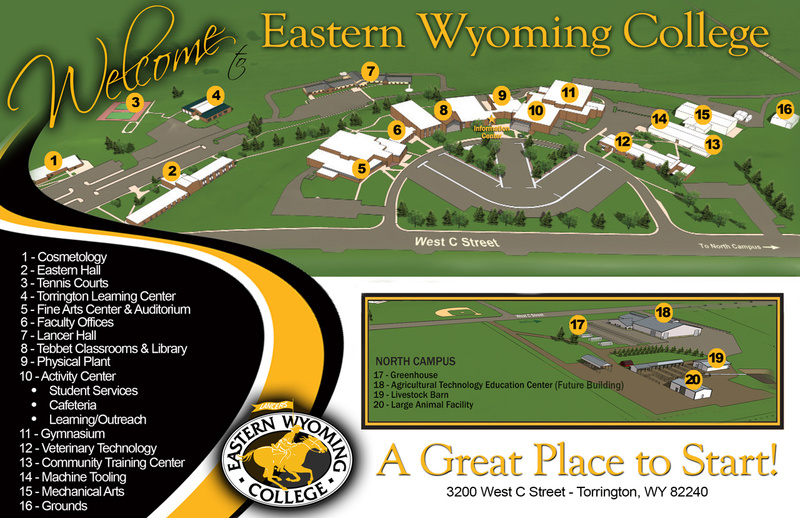 Eastern Wyoming College offices will be closed from Dec. 22 through January 1 for Winter Break.